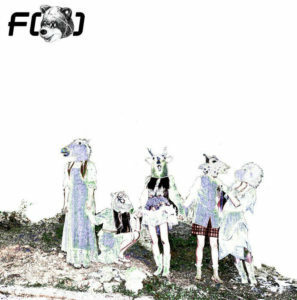 Known as the second girl group of SM Entertainment, in the second generation of the K-pop wave who debuted in 2009, f(x) started their discography by releasing singles, and stepped it up real fast by releasing a mini-album and full album in the next two years. Later, f(x) was consistently releasing albums, be it full versions or mini versions, even after one of their members, Sulli, left in 2015 to pursue a solo career. Known for their electronic, sometimes dizzying yet addictive tracks, f(x)’s music is often praised by music critics domestic and worldwide. Thus, in this article, Channel-Korea have compiled the full list of f(x) albums that you must check out. So, keep reading! 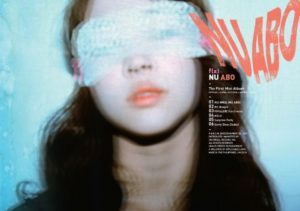 After releasing two singles, f(x) released their first mini-album entitled Nu ABO, with physical CDs distributed on 3 May 2010 in South Korea, 18 May 2010 in Hongkong, 28 May 2010 in Taiwan, and 19 and 25 June in Philippines for both the special release and the official release, whereas its digital version was released on 4 May 2010. The album title Nu ABO is a play on words, meaning ‘New Blood Type’ in which A, B, and O are the blood types that sound like “ye-bbi-oh”. Moreover, Nu ABO peaked at #2 on the Gaon Weekly Album Chart, and sold over 54,000 copies. There are six tracks on Nu ABO: Nu ABO, Mr. Boogie, Ice Cream, ME+U, Surprise Party, and Sorry (Dear Daddy) which is a duet track featuring Luna and Krystal. Here you may listen to the fourth track of mini-album Nu ABO entitled ME+U which is the original name of f(x)’s fan club name, and is composed by the notable composer Hitchhiker! Almost one year after the release of their first mini-album, f(x) finally released their first album entitled Pinocchio in both physical and digital release on 20 April 2011. The album successfully topped the Gaon Album Chart at #1, and sold over 74,0000 copies in South Korea and 8,000 copies in Japan. In addition, Pinocchio has ten tracks: Pinocchio (Danger), Sweet Witches, Dangerous, Beautiful Goodbye, Gangsta Boy, Love, Stand Up!, My Style, So Into U, and Lollipop (featuring senior labelmate from SHINee). Here you may listen to the eighth track of the full album Pinocchio entitled My Style, whose digital downloads have reached more than 107,340 downloads and is composed by Ryan Jhun, Antwann Frost, Natasha Bougknight, and Lauren Seymour! Soon after their first album, f(x) released their first repackaged album entitled Hot Summer in both physical and digital release on 14 June 2011. Similar to Pinocchio, this repackaged album successfully peaked at #2 on Gaon Album Chart and sold over 144,000 copies in South Korea and 17,200 copies in Japan. In addition, Hot Summer has fourteen tracks: namely Hot Summer, Pinocchio (Danger), Sweet Witches, …Is It Ok?, Dangerous, Beautiful Goodbye, Gangsta Boy, Love, Stand Up!, My Style, So Into U, Lollipop (featuring senior agency mate SHINee), LA chA TA, and Chu~♡. Here you may listen to the first and title track of the album entitled Hot Summer, which is the Korean cover of a song with the same title by German band Monrose, where its digital downloads have reached more than 3,100,000 downloads! f(x) released their second mini-album entitled Electric Shock in physical CD form on 13 June 2012, and digital release on 10 June 2012. Just like their first full album, Electric Shock successfully topped the Gaon Weekly Album Chart at #1 and peaked at #2 on the Billboard World Weekly Albums, #16 on Oricon Weekly Album Chart, and #21 on the Billboard Heatseekers Weekly Albums, whereas the sales of the album reached over 90,124 copies in South Korea and 15,200 copies in Japan. In addition, Electric Shock has six tracks: Electronic Shock, Jet, Zig Zag, Beautiful Stranger (Amber, Luna, and Krystal), Love Hate, and Let’s Try. Here you may listen to the second track of mini-album Electric Shock entitled Jet, featuring lyrics, music, and arrangement by Kenzie, and it was nominated along with with the title track Electric Shock for Best Dance and Electronic Song at the10th Annual Korean Music Awards on 29 January 2013, and the digital downloads have reached more than 384,000 downloads!